superdumb supervillain: Good, Clean Fun! Thanks to Team Mom, we had the chance to try a couple of new Spin Master toys that are showing up on all of the holiday gift guides. Are you looking for a gift that will give hours of enjoyment? 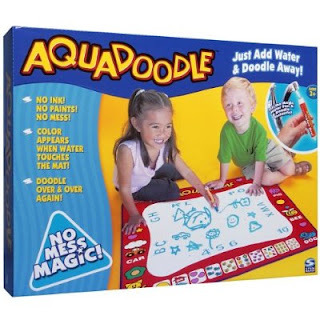 Look no further than the Aquadoodle Draw ‘N Doodle mat. 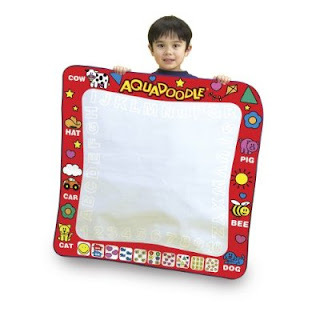 The refillable Aqua Pen lets your little artists draw with water on a huge 32" x 32" fabric mat. 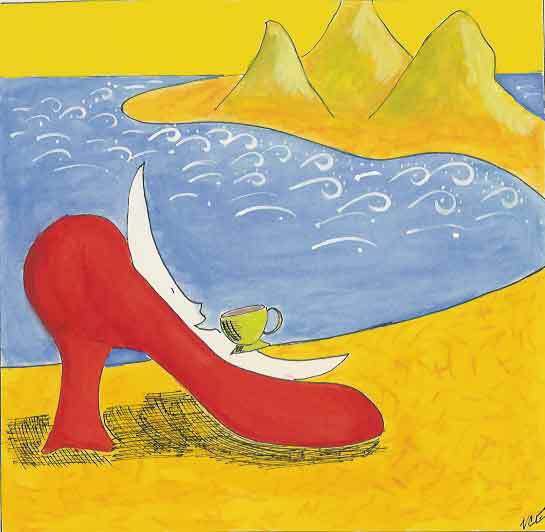 Since they're using water instead of markers or paints, there is no clean-up involved– simply let the mat dry and the artwork magically disappears! The Aquadoodle Draw ‘N Doodle mat folds for easy storage and portability and can be used over and over again. Roo has a couple of Aquadoodle mini-mats but the sheer size of the Aquadoodle Draw ‘N Doodle mat really got her seal of approval. Jasper wanted to sit on it but wasn't quite so good at handling the Aqua Pen. He's aching to learn, though! The other toy we got to try also doubles as bath gear– your little bath junkies will love this contraption! 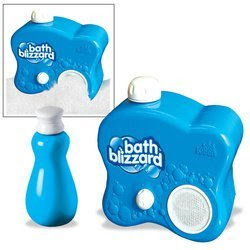 The KidKleen Bath Blizzard hooks onto the tub spout and creates endless cascades of foamy bubbles. It's basically the kid equivalent of a whirlpool jet spa experience. Roo has been getting pedicures with her grandma lately so this is right up her alley. (If only mommy was so pampered…) If you choose this for your gift-giving, remember to pick up four C batteries, too. And Roo suggests some fancy schmancy scented bubble bath, too, since you can use your own after the bottle that comes with the the KidKleen Bath Blizzard is all gone. What a pampered little granddaughter! That Aquadoodle Draw 'N Doodle Mat looks tres cool for busy little hands.